A growing competition for audiences and the proliferation of new sources, sometimes less credible, have changed how people read news. Are the concerns over news consumption specific to the medium on which people get their news? ask George D.H. Pearson and Silvia Knobloch-Westerwick of the Ohio State University. The researchers looked for differing patterns of selective exposure to hard news. They conducted an experiment with 197 university students. Authors wanted to see whether the delivery format and source type shape the extent to which recipients select different types of news. In the experiment the participants browsed 32 news items, half of them hard news and half soft news, associated with high- or low-credibility sources, and read them on print or online. The article finds, quite surprisingly, that greater preference for online news fostered selective exposure to hard news. Thus, the online news environment seems capable of supporting hard news. The authors present some possible reasons for this finding. Overall, users spent more time on soft news (on average about 6 minutes) than hard news (about 4 minutes). 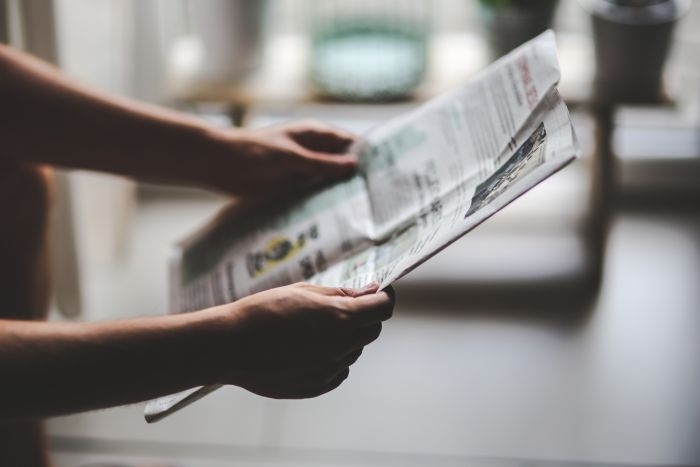 People read print news (5 and a half minutes) longer than online news (4 minutes 52 seconds). Participants showed no difference in exposure to high- versus low-credibility sources. However, greater habitual news use via social media reduced selective exposure to high-credibility news. This suggests that as users rely more on social media for news, they have learned different ways of browsing through information. The article “Perusing pages and skimming screens” was published in New Media & Society and is available online (abstract free).